June 2018 Rod Knock is Here! Meeting Location Change / Memorial Day Weekend Wrap Up! Meeting location change. 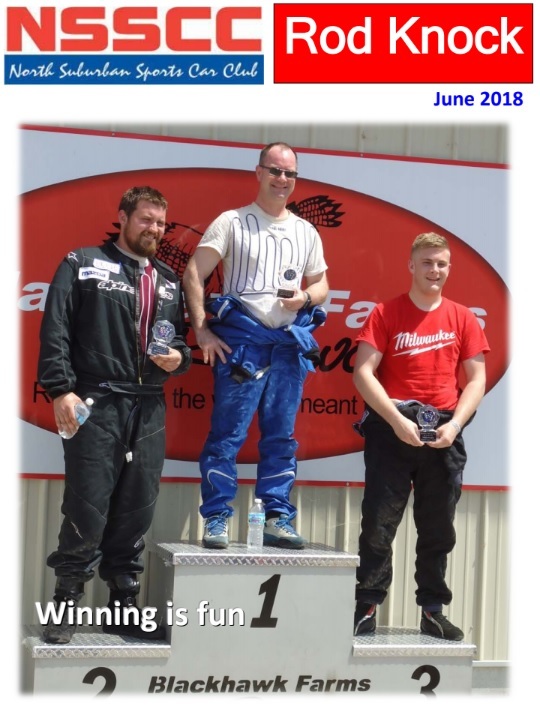 K1 Speed - Addison is our new meeting location coming up on Thursday, June 21, 2018. Fangio room @ 7:00 pm. Passing of Gary Weiss - longtime member of Chicagoland Sports Car Club and Midwestern Council of Sports Car Clubs passed away last week. Retirement of Tim McCarter - Chief of Tech / Impound & Competition Director and longtime supporter of Midwestern Council and North Suburban Sports Car Club. Sports Car Club of Rockford's "Very" Successful event over Memorial Day weekend at Blackhawk Farms Raceway.